Oklahoma State Senator John Ford was elected to the State Senate November, 2004, and re-elected without opposition in 2008 and 2012. Senator Ford represents District 29, consisting of Nowata, Rogers and Washington Counties. Prior to his election to the State Senate, John had a 34-year career with Phillips Petroleum Company. His tenure with Phillips gave him the opportunity to develop the skills of an effective public servant such as business planning, prudent budgeting, valuable communication and thoughtful decision-making practices. Senator Ford has a business degree from the University of Tulsa. He has lived, worked and worshiped in the area for over 40 years. John recognizes the importance of community service as exemplified by his participation and involvement in various community organizations and city and chamber committees. He is a founding member and past president of both the Bartlesville Area Friends of the Parks and the Daybreak Rotary Club. His priority issues are education, tort reform, Workers’ Compensation and Highway 60 from Ponca City to Vinita. 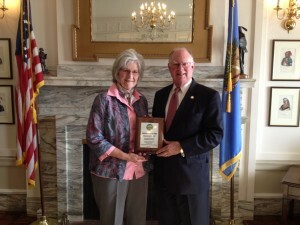 During his first term in the State Senate, John was honored with the Senate “Legislator of the Year” award by the Oklahoma Association for Home Care. 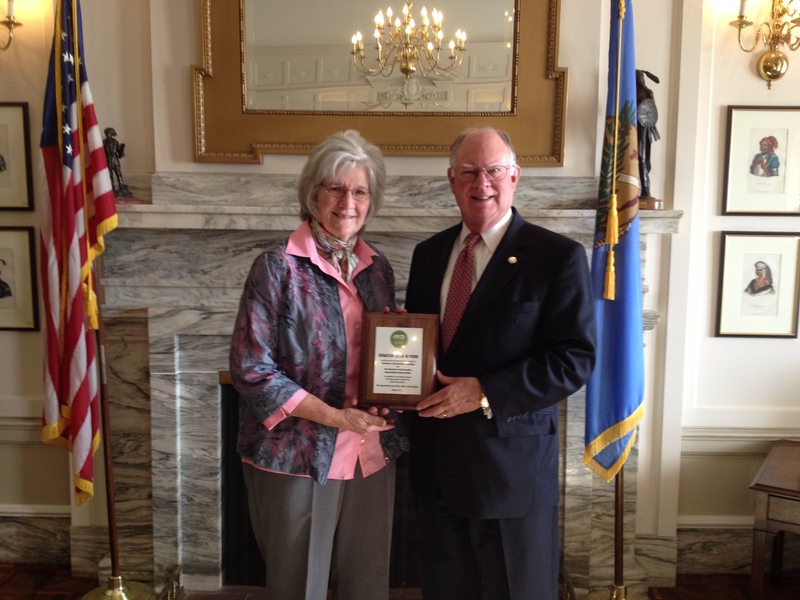 John earned one of the highest scores possible in the “Legislative Report on Aging Issues” published by the Oklahoma Aging Partnership (OAP). The report featured legislation in the areas of financial security, long-term care issues and health care issues. The legislation and issues rated of top concern are determined by OAP, a non-partisan coalition including AARP Oklahoma, Oklahoma Alliance on Aging, Oklahoma Silver Haired Legislature Alumni Association and the Oklahoma State Council on Aging. In the past Ford has served as Majority Caucus Chair and currently serves as Assistant Majority Floor Leader. His current committee chair appointments include Chairman of the Education Committee and Vice-Chairman of the Education Appropriations Subcommittee. His wife, Mary, is a past public school teacher. They have two married children, Jennifer and Jack and four grandchildren. John and his wife reside in Bartlesville, Oklahoma, and attend the Good Shepherd Presbyterian Church.